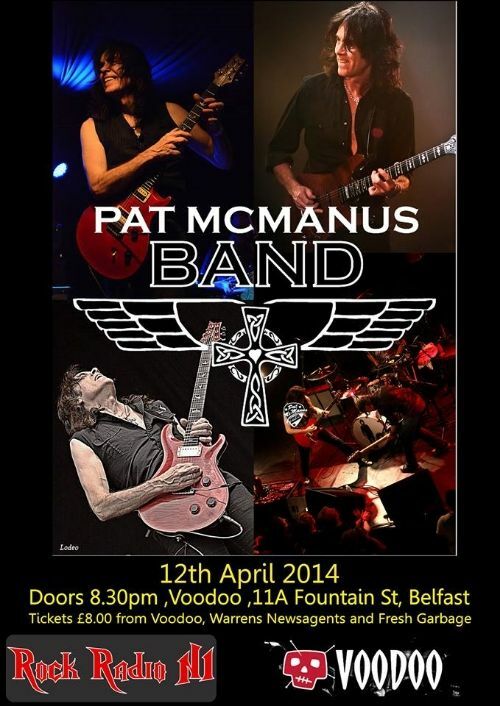 The first Rock Radio NI gig of 2014 in Voodoo, Belfast on Saturday 12th April sees the return of the Pat McManus Band who have performed for us a number of times in the past. These have always been well attended and highly entertaining shows. Tickets can be bought via www.wegottickets.com and from Voodoo, Warrens Newsagents or Fresh Garbage for just £8. Support comes from Worldsend who made a welcome return recently after a short break to find a new drummer.